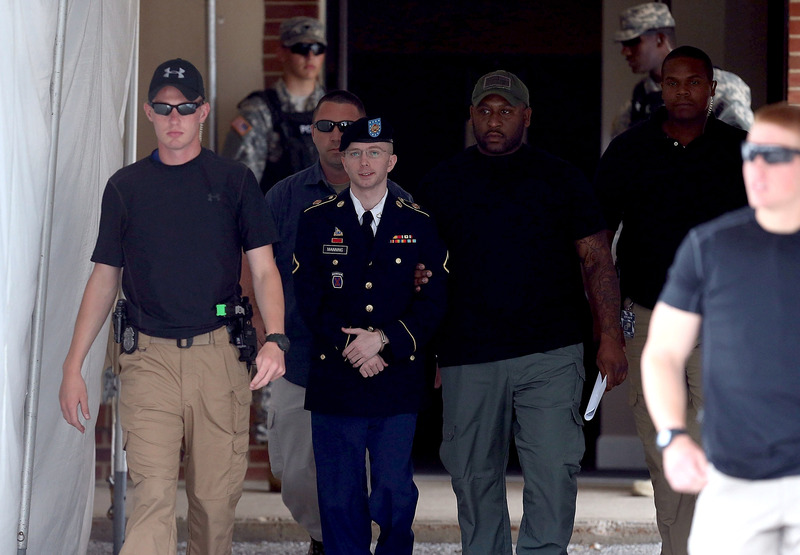 The judge overseeing the trial of 25-year-old private Bradley Manning agreed on Tuesday to reduce the leaker's sentence to a maximum of 90 years. The offenses Manning was convicted of last week all relate to his 2010 leak of 700,000 top-secret military documents. The documents included 250,000 U.S. diplomatic cables, which Elizabeth Dibble — who was the No. 2 official in the agency's Bureau of Near Eastern Affairs at the time the leaks took place — said "not only provide the facts but they provide the analysis, the synthesis and the embassy's judgment of what is going on in a particular country." Manning originally faced a maximum of 136 years in prison following his conviction on 20 counts, which include Espionage Act violations, theft, and computer fraud. Manning defended his leaks as an attempt to expose wrongdoing by the military and U.S. diplomats; making him a hero in the eyes of some, and a traitor in the eyes of others. His defense, meanwhile, insisted that Manning was "young, naive and good-intentioned" when he made the choice to leak the documents.